Frank’s life has been about cars since 1967. 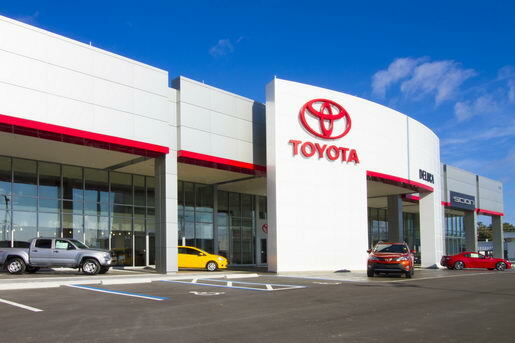 In 1978 Frank DeLuca arrived in Ocala Florida from Orlando and soon opened his car dealership – DeLuca Toyota. It began with 22000 square feet on just 3.5 acres on State Road 200 the current dealership sits on 79,400 square feet on 24.7 acres! He is a member of the National Auto Dealers Association, past director of the Florida Auto Dealers Association and also served as the Dealer Council representative of Southeast Toyota Distribution, Incorporated. Frank was re-elected as Dealer Council Representative of Southeast Toyota until 2013. He is a 5 time recipient of the prestigious Toyota President’s Award from Toyota Motor Sales USA, a Time Dealer of the year nominee (2013), a Northwood University Dealer Education Award winner (2014), and a major donor and supporter of the “Frank DeLuca Family Center YMCA” in Ocala. Not only is Frank one of Ocala’s premier business leaders, he is also an avid community supporter.Frank has served on the board of directors for Ocala Chamber of Commerce and is a member of the Ocala Elks Club, and a member of the St. Petersburg Yacht Club and The Club at Treasure Island in Treasure Island, FL. Frank was also recognized by Ocala Magazine as Philanthropist of the Year in 2011. In December 2011, Frank’s charitable endeavors were recognized by The City of Ocala by naming him Grand Marshall of the 2011 Ocala Christmas Parade. Education, charities, and local civic organizations all benefit from Frank DeLuca’s generosity. Frank is a long-time member of Blessed Trinity Church in Ocala. Frank has two children, Frank Paul DeLuca and Deanne DeLuca Denney. He has five grandchildren. His favorite hobbies are snow skiing, traveling, and yachting. American Cancer Society / Ocala Royal Dames for Cancer Research, Inc.
Ocala Royal Dames Royal Knight, 2006. Honorary Chairman of the annual Tiara Ball, 2007 & 2008. Staunch supporter of the City of Ocala and served on the board of the Ocala Marion County Chamber of Commerce. He is a Legacy Trustee. Over the past 7 years, Frank has sponsored 6 homes through Habitat for Humanity Marion County, providing 12 adults and 26 children with affordable housing.